Phiasco’s still typing up his Adepticon report part 2, so I’ll be putting up something today taking a closer look at a Book 4 model that has introduced a very powerful ability to Malifaux. But first, as always, mini-musings. -Wyrd’s Easter Sale is Live! That’s probably the biggest news, I would imagine. As mentioned last week, the sale will not be offering pre-releases as it has in the past as part of Wyrd’s efforts to improve relations with brick and mortar game stores. 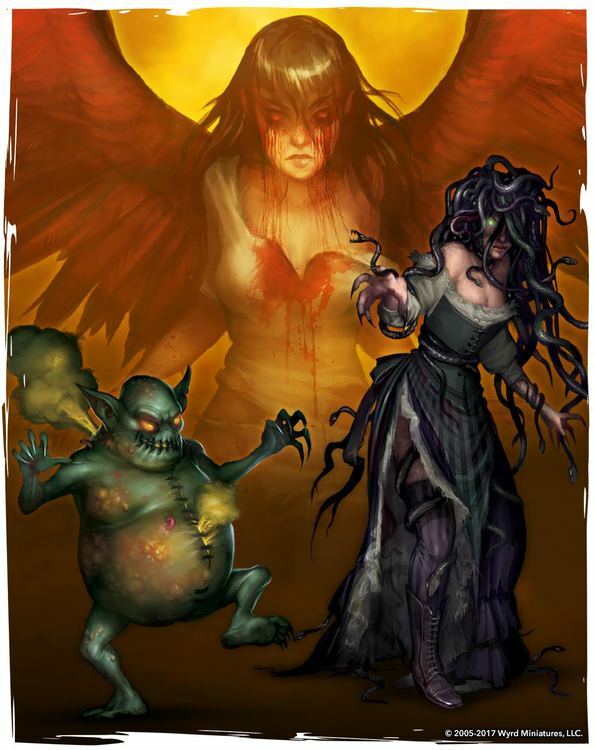 However, as far as I can see, all the limited editions you would win from mystery boxes, Nightmare Edition Dark Carnival, and the dayglow and translucent sets are available, along with the posters, and an alternate sculpt of Titania that looks to be having a bit of a bad day. -Speaking of Alt Titania, the person responsible for the artwork you see above has joined Wyrd’s staff. Alyssa has become the new in-house artist for Wyrd, the first for the company. Follow the link to see some examples of her work. She certainly seems to have the Wyrd spirit in her! -Finally, the Guilder store has been updated as well. You can now spend those poker chips you’ve got piling up for some alternate plastic Miss figures (Ery, Step, Terious, and Anne Thrope), the newly released Dr. Alexei Sokolov (from Wyrd’s last Through the Breach event), and a Wooden M2E Card Box. -Wyrd Chronicles Issue 29 has come out, featuring a Through the Breach scenario where players wake up in Dr. McMourning's laboratory, an Easter Egg Hunt game for the minis, and the usual allotment of cool fiction. Oh, and there may be a strategy article in there written by your humble bloggist, Adam. Go check it out! There’s really no other way to put it: Ten Thunders got an awful lot of juice in Wave 4. They added a summoner to their stable of masters. They got a nasty beater model in Yasunori, which the faction has sort of lacked up to now. Ohagaru Bettari and Sun Quiang are both solid models that can find a role in many different Thunders crews. But, beneath all of that bright and shininess, one simple 5ss minion has probably had the greatest effect on the faction as a whole, the humble Terracotta Warrior. But why, you ask? Well I’m going to tell you. Jeez. Don’t be so pushy. On paper, a 4 Wd 6 Df 4 Wp model is not that impressive. Its melee isn’t that good (though with its ram trigger it can surprise you, as one of my Sillurids found out.) While unimpeded, it isn’t going to set any speed records with a walk and charge of 5. What’s the big deal with this guy? The answer, for those who haven’t seen them in action, is quite simply that he changes one of the fundamental truths of Malifaux: that you’re stuck with whatever upgrades you buy at the beginning of the game. As a 0 action, a Terracotta warrior allows any friendly model to discard any non-0 cost upgrade and replace it with another that it could have legally taken at the beginning of the game. This, along with the Neverborn Thousand Faces upgrade, are the first examples of this kind of flexibility to be introduced to the game, and their power can’t really be overstated. When you pick your upgrades, you don’t know what your opponent is bringing to the game. The only information you have is their faction, and that probably doesn’t tell you enough to truly know what you’re going to face (particularly with the introduction of the Wave 4 masters.) Now, this is much less of an issue. Realize mid-game that you bought the wrong limited upgrade? No problem, just switch it out (and pay the difference in soulstone cost, if the new one is more expensive.) Bring along a defensive upgrade that you don’t really need? Turn it into a Recalled Training! Speaking of which, use your Recalled Training earlier in the game? No problem, just turn one of your other upgrades into a second one and use it again! Mccabe’s in trouble and getting pummeled? Turn his saber into the strangemetal shirt after he activates, and give him some more protection. You can always change it back next turn to let him dish out some hurt! Asami Tanaka’s Feigned Weakness upgrade gives you an interesting boost when you’re behind on Victory Points, but does nothing when you’re ahead. Being able to choose when that upgrade is attached versus when it’s not based on the game state improves it immensely. 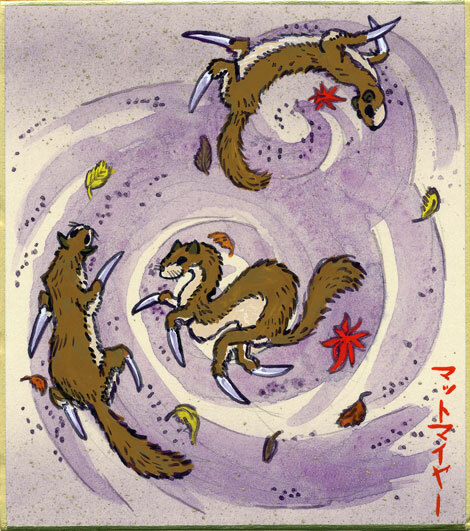 For a little extra zip, pair this up with the faction's generic totem, the Kamaitachi. If the super weasel manages to stay within range of the model whose upgrades you’re flipping, you get to heal them a bit, give them a 3-inch push, and draw a card along with the upgrade swap. Brilliant! Oh super weasel. Is there anything you can't do? That would probably be enough in and of itself, but there’s another big piece to what makes this thing so special. There’s a good chance you’ll have an important minion or enforcer you’ll want to keep alive somewhere in your crew. This is where the Terracotta Warrior’s 1 AP Tactical action, Mold of the Other, comes into play. It places a condition on the model called Ancient Protections that lets them pass the damage from a single attack onto the Terracotta warrior, who can promptly place a card from their hand under their deck (none of your shenanigans, Mr. Lynch) to prevent it. This may not be necessary for your average model, but when you’re keeping your souped up Dawn Serpent or Izamu alive a turn longer, sometimes that could be the last bit of resilience you’ll need to get a chance to hit them back. I just thought of Yin having this and made myself sick and annoyed (to be fair, Yin has that effect on me most of the time.) And it can even make something a little bit less resilient better able to hold a point for you. Seems like a pretty good deal. While being able to flip around some of Mccabe’s gear cards or bring back Recalled Training are all useful, where this model has the potential to be really interesting is when a master has a set of limited upgrades that drastically alter their playstyle. I did an article a while back called the Misaki Switch that discussed how you can change her from a defense oriented counter-charge model with Disguised to the (admittedly more frequently seen) Stalking Bisento murder-bot that we all know and lo(athe)ve. Well, with a Terracotta warrior, now you don’t have to pick! Start out with Disguised, walk up with your crew, and when the appropriate target presents itself, switch upgrades and launch off like a missile. If you’re really lucky, you may even be able to switch back on subsequent turns if you can get the Warrior close enough, though his limited speed and 6” range makes this less likely to work. A build that Phiasco has experimented with is combining this with Jacob Lynch’s limiteds to switch between Casting Expert and Survivable Hungering Darkness, though this requires being able to spot when the big purple tadpole is in trouble in advance to pull off safely. Not for the beginner, I’d say, but potentially very potent. So, this model has made a huge contribution to Ten Thunders becoming a very tactically flexible faction that can adapt to what is happening on the board, defensively flow to negate what the opponent’s crew is doing, and switch into offense mode to deliver a death blow. It’s kind of hard to think of a crew that wouldn’t benefit from including one, so it’s nice that they’re cheap. Their one significant weakness is their relatively short range, which can make them vulnerable. They’re a bit brittle (perhaps fittingly, they are terracotta after all), with only 4 wounds and Armor 1, though Thousands Strong can be used to negate any damage that doesn’t come directly from an attack action targeting them, so they ignore damage from poison or burning and aren’t vulnerable to blasts the way some other small minions can be. Still, if you get a chance to put one down, I’d recommend doing it. It’s likely they’re an important part of your opponent’s strategy, and you'll be slowing them down or jamming them up by doing so. That's all for now, but I want to remind people in the Southeastern US (or, hell, anybody really) that my tournament NRVFaux is coming up next weekend. Come down to the New River Valley, play some Malifaux, and check out some cosplay and various other geeky vendors at the con itself. It's just $5 to enter the con, and your badge is your entry to the tournament. Phiasco assures me that the Wandering River Dojo will be making an appearance here, and your humble bloggist will be there to chat or jump in as the ringer. Hope to see you then! Guest Battle Report 2: Electric Boogaloo!